The Green Bay Packers and the Seattle Seahawks will battle on Thursday Night Football at CenturyLink Field. Both teams are virtually in must win situations as the NFL season reaches Week 10. The Packers have been making fans of the home team happy this season. They are 4-0-1 at Lambeau Field and 0-4 everywhere else. The Packers look to put an end to their road woes on Thursday night in Seattle. The Seahawks begin a stretch of five home games in the next seven weeks. TV: 8:20 p.m. ET, FOX, NFL Network. 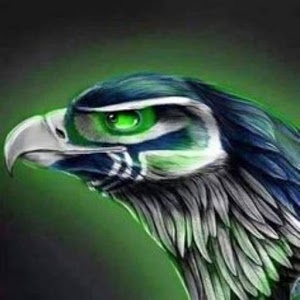 LINE: Seahawks -3 -120; O/U: 49. “I like our chances at home, but we’ve got to win some road games or we’re going to be at home in January — for good,” said Green Bay quarterback Aaron Rodgers. Rodgers tossed two touchdown passes to Davante Adams in Sunday’s 31-12 romp over Miami. The two-time NFL Most Valuable Player has thrown 10 scoring strikes with zero interceptions in the last five weeks. He has seven TD passes without getting picked off in his last two Thursday games. Seattle has answered winning four of five by losing two hotly contested matchups versus the Los Angeles squads. Russell Wilson tossed three touchdown passes in a 36-31 setback at the Rams on Sunday. He has 13 scoring strikes against one interception in his last six games at home. The 4-4-1 Packers have another “Aaron” in their midst. Running back Aaron Jones is making his presence felt after rushing for 306 yards and three touchdowns in his last three games. He had a career-high 145 yards with two scores on a season-high 15 carries against the Dolphins. The Packers aim to exploit the Seahawks’ rush defense that has been gashed for 5.0 yards per carry this season. A promising ground attack could create more opportunities for Adams. He has 31 touchdown receptions since 2016 are tied for the most in the league. TE Jimmy Graham has just six catches for 90 yards in his last three contests. He collected 18 touchdowns in three seasons. The 4-5 Seahawks are glad to be home. They appear to be getting healthier as running back Chris Carson (hip), right guard D.J. Fluker (calf) and strong safety Bradley McDougal (knee) are in line to be available for Thursday’s game. Carson rejoins a backfield that saw first-round rookie Rashaad Penny rush for a career-best 108 yards and a touchdown against the Rams. Fellow running back Mike Davis had his first career receiving score. The Packers defense that has surrendered at least 123 rushing yards in each of the last four weeks. The Seahawks look to exploit that weakness as well. WR Tyler Lockett has a touchdown reception in seven of nine games this season. LB Bobby Wagner has recorded back-to-back 13-tackle performances and has 29 tackles in his past three home games. PREDICTION: Packers 24, Seahawks 17.